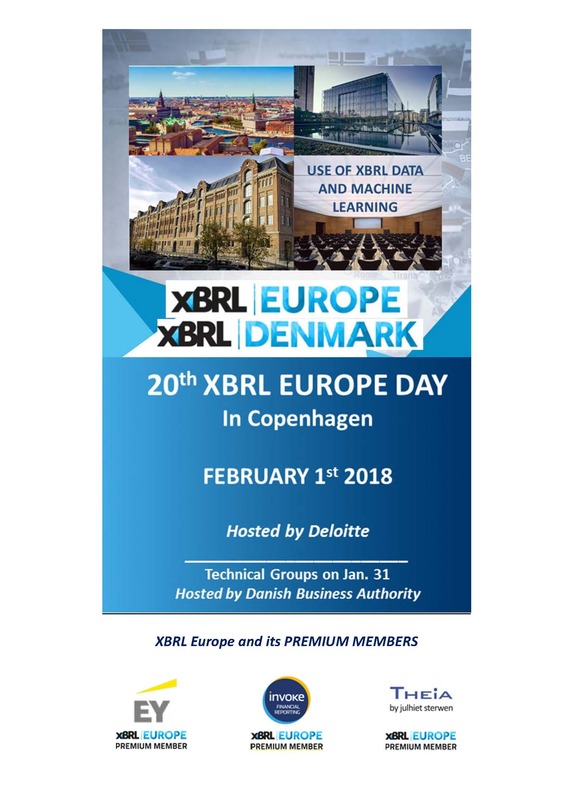 Many thanks to all of you (Attendees and speakers) for having attended this 20th XBRL Europe day in Copenhagen around the use of XBRL data and machine learning which was a real success. But first thank you to our hosts XBRL Denmark (Poul Kjaer), Deloitte (Henrik Groennegaard) and the Danish Business Authority (Lise Fode, Niels Peter Ronmos), and obviously thanks to the whole preparation committee. Thank you also to the European authorities (EBA, EIOPA, ESMA, and ECB) to have participated and to have given us an update of their current process in the use of data. Around 100 persons the 1st of February, a nice networking dinner the 31st of January and crowdy Working group (ESMA informal WG, Supervisory WG, xEBR WG and SBR WG) sessions the 31st of January. We will also be announcing the venue in the next days/weeks of our next Eurofiling XBRL Europe Week 2018 (21st XBRL Europe day and the 25th Eurofiling workshop), which will take place between the 28th of May and the 1st of June 2018 where we will be happy to meet you all again. A Save the date will be sent soon! Do not forget it will also be the 10th anniversary of XBRL Europe !!! Best regards, again thanks to all and see you soon. Structuring and restructuring: OIM and Machine Learning – Mark Goodhand, Specification Working Group Chair, XBRL int’l. Mandate SBR NL: Results 2017 and mandate for midsized companies – Paul Snijders, Vice Chair XBRL Europe. Who should attend? XBRL Europe members and participants members of the XBRL jurisdictions as per its rules, other Stakeholders and Experts from Regulatory and Supervisory bodies involved in Regulatory Reporting and Business Registers, etc. 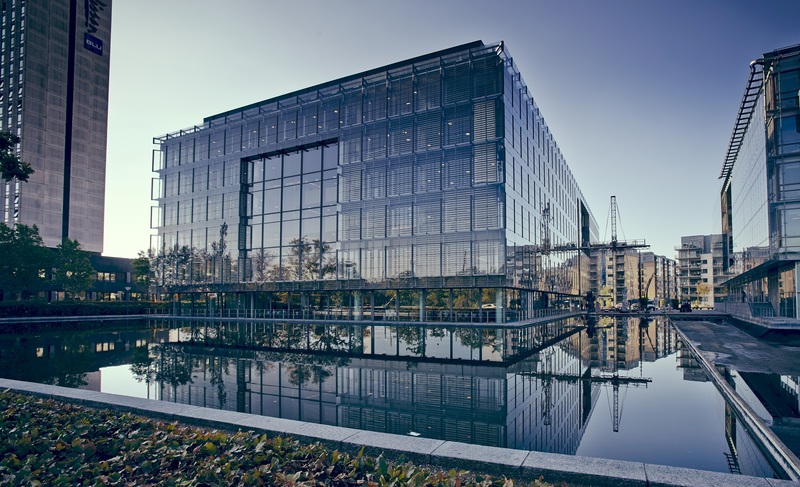 On February 1st 2018, the 20th XBRL Europe day will take place in Copenhagen at the Deloitte HQ premises which is at (Weidekampsgade 6, 2300 København S). The 31st of January 2018 afternoon will take place the Working group sessions (SBR WG, Supervisory reporting WG, etc.) 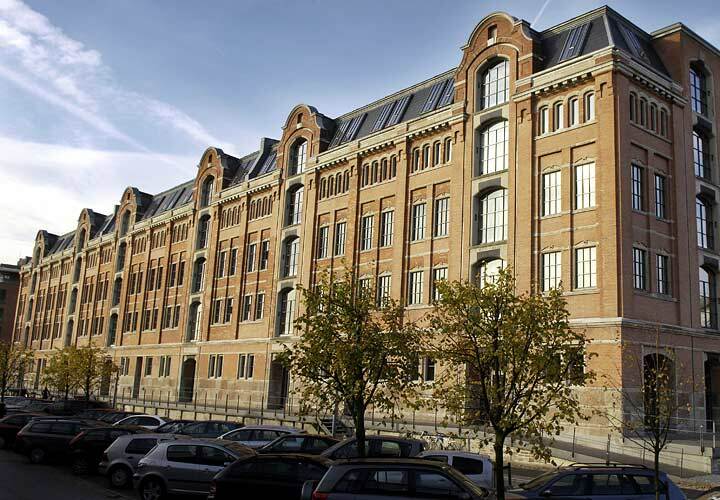 at the Danish Business Authority HQ, (Langelinie Allé 17 DK-2100 Copenhagen O). The preparation committee (XBRL Europe and XBRL Denmark) expresses its gratitude to the Deloitte and the Danish Business Authority for hosting the event and the sessions, and to all the volunteers who keep making these meetings a success. 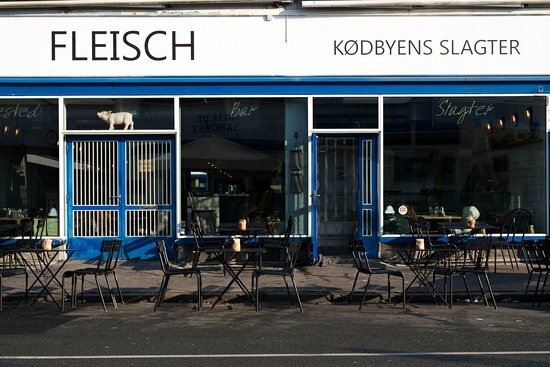 A friendly dinner will take place the 31st of January. Details will follow.